The Australian Retailers Association (ARA) said that following the announcement by the New Zealand Associate Minister of Health, Hon Jenny Salesa, to legalise vaping and nicotine e-cigarettes, Australia will soon sit behind more than 60 other countries in continuing to ban the alternatives to traditional tobacco products. The announcement by Associate Minister Salesa last Friday emphasised that legalising vaping will enhance product quality and safety and assist low-income earners, who have some of the highest smoking rates, to switch to a cheaper and less harmful alternative. Russell Zimmerman, Executive Director of the ARA, said that it was past-time that the Health Minister, The Hon Greg Hunt MP, dropped his personal opposition to legalising nicotine e-cigarettes in Australia, and followed the lead of our international counterparts. “The Health Minister is standing in the way of a path towards better health outcomes for long-term smokers, due to a personal opposition to all forms of tobacco,” Mr Zimmerman said. In August, the CSIRO’s E-cigarettes, smoking and health (the report) literature review indicated that e-cigarettes can assist some smokers in quitting traditional cigarettes. The report also provided evidence for a range of health improvements when conventional tobacco smokers make the switch. 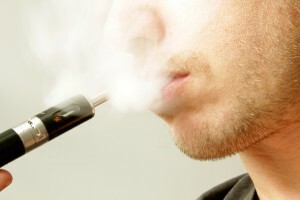 “According to the CSIRO’s findings, it is clear that e-cigarettes are preferred by some smokers as a cessation method. Trials have found nicotine e-cigarettes are more effective at reducing conventional smoking than nicotine free e-cigarettes or no e-cigarettes,” Mr Zimmerman said. Along with the CSIRO’s report, a Crosby Textor poll conducted in June found almost 50% of Australians and more than two-thirds of smokers support the legalisation of e-cigarettes and personal vaporisers in Australia. “The Crosby Textor poll showed that 70% of Australians and 67% of smokers agreed that vaporisers were a way to completely phase out cigarette smoking in Australia,” Mr Zimmerman said. With New Zealand legalising the sale of nicotine e-cigarettes, Australia will now sit behind over 60 countries, including most of the European Union, the United Kingdom, the United States of America, and several Asian nations, giving consumers ample options to circumvent local restrictions and import vaping products from overseas. “When restrictions force consumers to import these products, rather than purchase them legally at home, consumers are exposed to the risk of unregulated and potentially unsafe products,” Mr Zimmerman said.